To bring you the skin-feeling comfort and immersive audio experience is the ultimate goal of the JIUHUFH JH-803 wireless headphones. Unlike any other foldable Bluetooth headphones on market, it has rotatable ear cups and extreme soft memory protein foam pads, which means you are always wearing it in the most comfortable way when you put it on. Powered by 40mm driver and advanced CSR8635 chip, the fine-tuned JH-803 give you a rich, crisp and balanced sound and the access to music immersion. 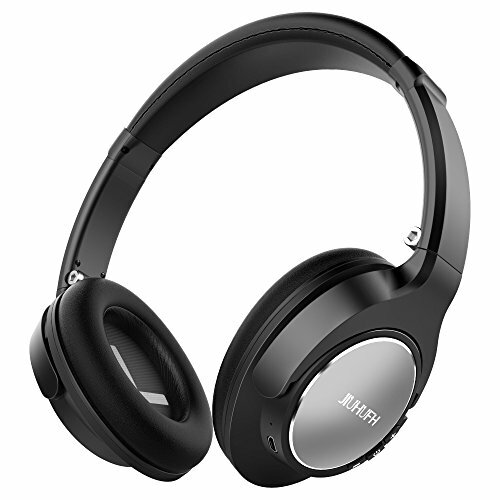 Up to 20 hours play time on a full charge, it becomes your perfect everyday headphones. 1. If your TV is not Bluetooth enabled, you need a Bluetooth transmitter. 2. The mic is not available when the headset is connected to the computer. Products by JIUHUFH come with 18 months warranty and 90 days return or exchange. If you have any questions regarding your products, please contact us! We will provide the personalized guidance to help you solve it. If you have any questions about this product by JIUHUFH, contact us by completing and submitting the form below. If you are looking for a specif part number, please include it with your message.